In its early stages, oral cancer is highly treatable, but most patients are completely unaware of the warning signs until the disease has already advanced. The Diablo Dental Group in Danville, California, can detect oral cancer at the first sign of trouble with an advanced technological tool called the VELscope®, which detects cancer signs that may be invisible to the naked eye. Call or book an appointment online today for more information. Oral cancer typically manifests itself as a growth or sores in the mouth that don’t go away on their own. These growths can develop anywhere in the mouth, including on your tongue, floor of the mouth, cheeks, throat, lips, and even in your sinuses. What makes oral cancer difficult to detect is that its symptoms can seem like indicators of less serious conditions, such as cold sores, gingivitis, or a sore throat. What are some oral cancer symptoms to look out for? While oral cancer can happen to anybody, those who smoke, drink alcohol excessively, or have a family history of cancer are at a higher risk of developing the disease. How is oral cancer screened? 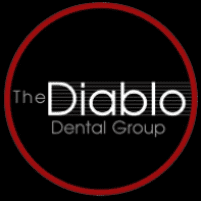 The Diablo Dental Group performs oral cancer screenings using a technological tool called the VELscope to visualize oral cancers in the earliest stages. The VELscope utilizes light fluorescent to detect early cancer that would otherwise be invisible to the naked eye. In addition to utilizing the most advanced dental technology available, your dentist will perform oral cancer screenings during your routine exams to detect any abnormal lumps, sores, or discolored tissue inside your mouth. That’s why it’s important to schedule at least two visits a year, once every six months. If your dentist notices anything out of the ordinary, you may need a biopsy to determine if any abnormalities could be cancerous. Oral cancer is a potentially dangerous condition that is treatable in its earliest stages. To ensure your health remains optimal, call The Diablo Dental Group or book an appointment online today.